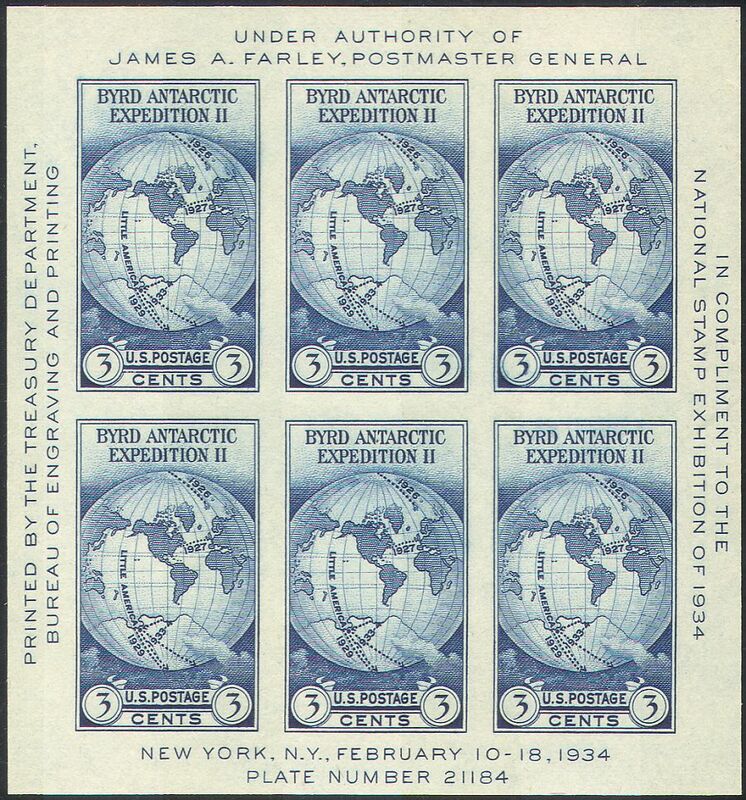 United States of America 1934 New York Stamp Exhibition Sheet imperforate sheet (nominally 6 x 1 value) depicting Route Maps of Admiral Richard Byrd's Flights : Antarctic Expedition II and Arctic Expedition - in superb u/m (mnh) condition - excellent country, polar, arctic exploration, aviation, aviators, flight, research, maps thematics. (Stanley Gibbons 2015 Catalogue Value £23). If you cannot find the specific stamp set or thematic/topic you are looking for either here in my shop or at the brumstamp stamp shop on eBay http://stores.shop.ebay.co.uk/The-Brumstamp-Stamp-Shop please do not hesitate to contact me. Enjoy browsing and shopping. Andrea!